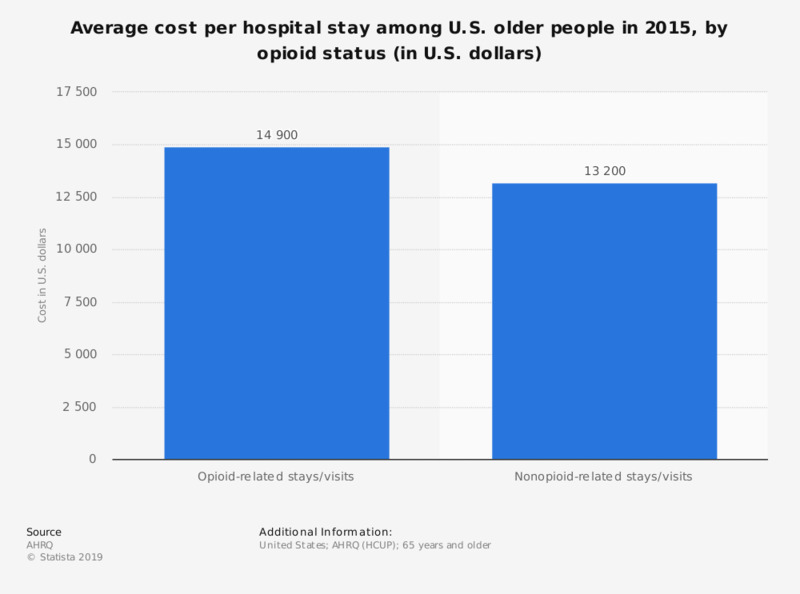 This statistic depicts the average cost per stay in a hospital among U.S. older adults aged 65 years and older in 2015, by opioid status. According to the data, among those with opioid-related diagnoses the average cost was 14,900 U.S. dollars. Comparatively, among those without opioid-related diagnoses the cost was around 13,200 U.S. dollars.